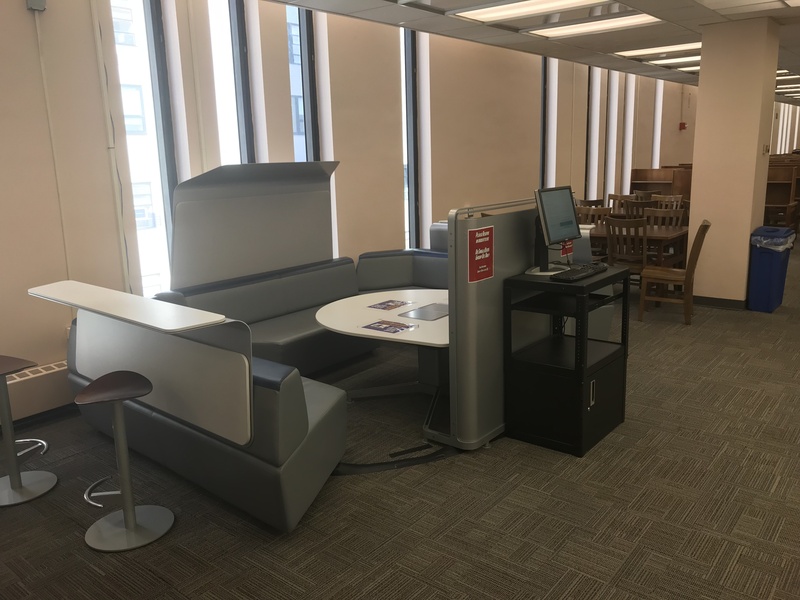 The Collaboration Theatre moved to a new location at the top of the stairs on the second floor. 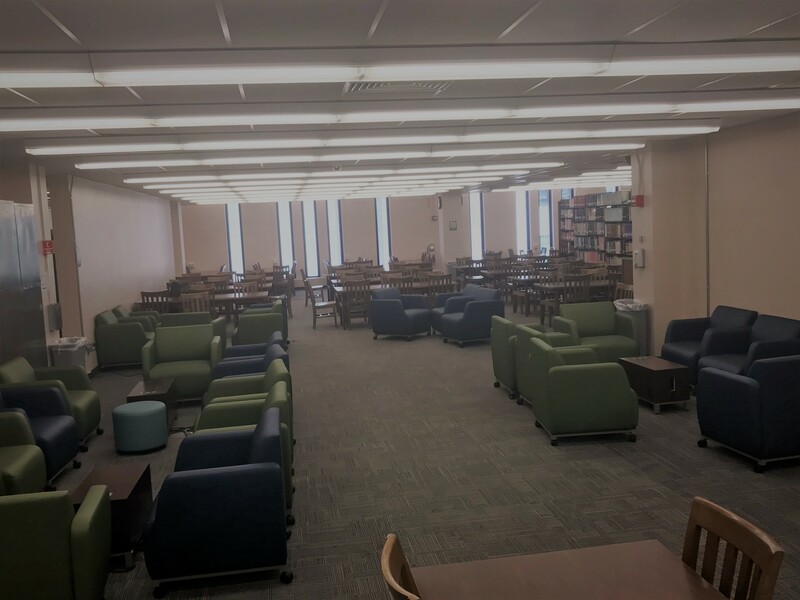 We created space on the east side of the second floor of the library to accommodate approximately 100 more seats. 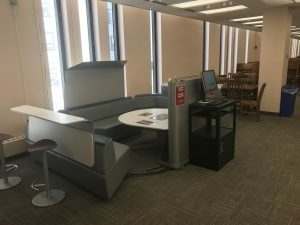 This was accomplished by weeding and consolidating the collection, removing stacks and relocating microfilm cabinets. 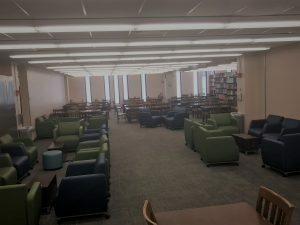 The area was re-carpeted, and furniture from the student union was relocated. 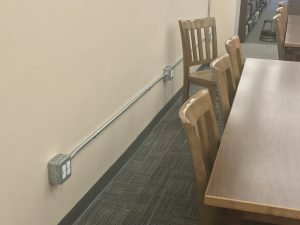 All new outlets were installed on the second floor of the library in the new group study areas and along the outer walls by the windows. 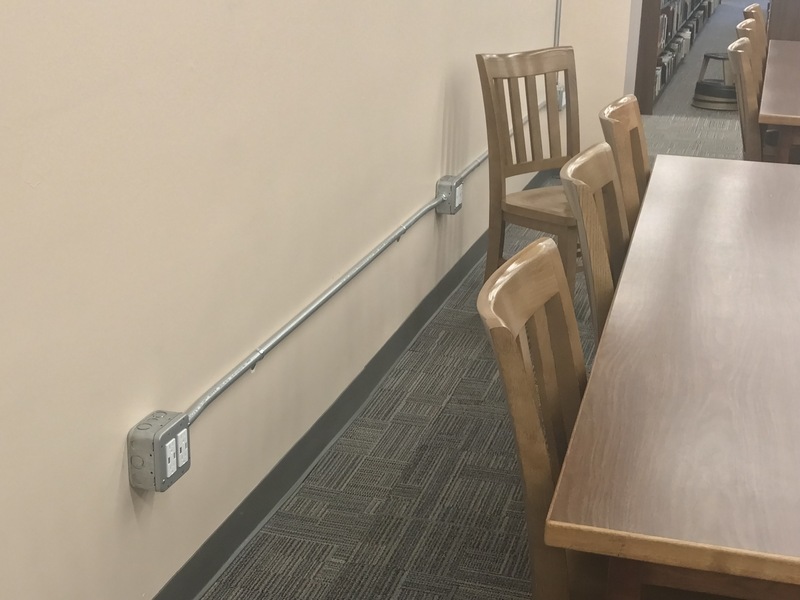 Altogether 544 outlets and USB charger were installed (272 electrical outlets and 272 USB ports).